Your kids mean the world to you. Their school, homework, and extra-curricular activities can take up a lot of time, so why not give them a comfortable and productive space that makes it fun for them? With IKEA’s iconic range of products, it doesn’t have to be hard on your wallet and you can involve your children too. But how and where to start? A good place to begin is to identify the right kids study table and chair. This is where they will be spending a lot of time, so choose a desk and chair that are of a comfortable height for your kids. Avoid prints and characters on the desk, as this may be a source of distraction. Keep it simple! Depending on their age, you can look at children’s bedroom furniture with varied storage combos. For younger ones, you can choose tables and chairs for kids with drawers fitted with organizing trays to accommodate their art supplies and stationery. For older kids, more book storage options and cots with built-in storage may be a good idea. Keep it functional! Position the desk away from any distractions so that your child’s focus doesn’t drift. Facing a plain wall is known to minimize the distraction. Keep it smart! Lighting! 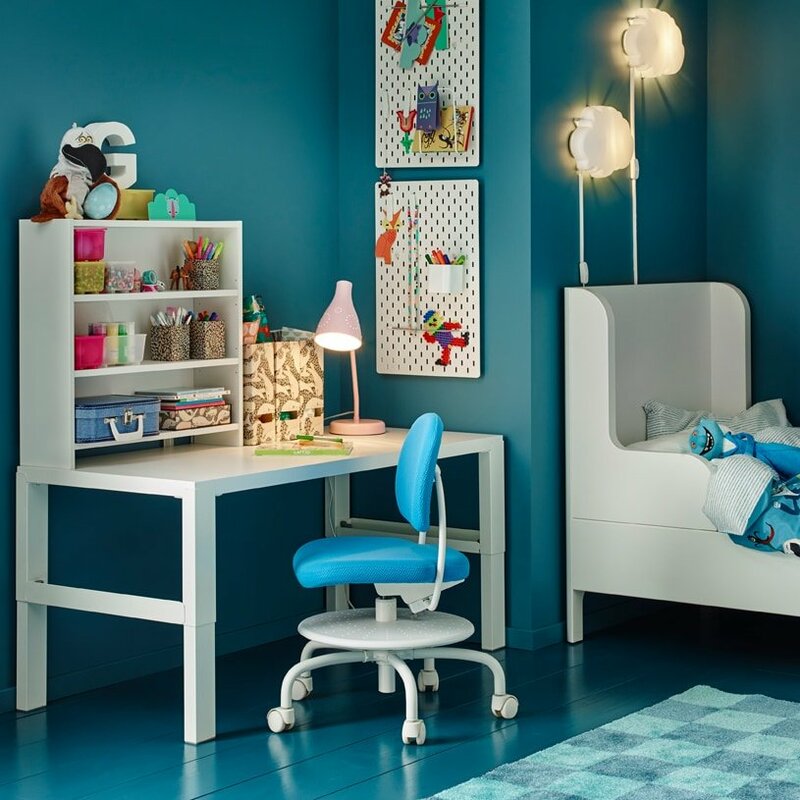 No matter what your kid’s age is, providing good study space lighting is vital, as is ensuring the quality of light is as close to natural as possible. 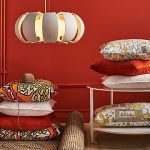 Choose from IKEA’s amazing lighting options to help the child focus better on the task. Keep it bright! Stationery, like a pin-up board, close to your child’s desk is vital. For younger kids, this may be a place to display their art work or an “I love you, Mom” card they made for Mother’s Day. A place for your child to look at their handiwork and feel proud. For older kids, this may be a reminder zone with “post it” notes, school activities calendar, or exam schedules. Bare necessities almost always work! Don’t clutter your child’s desk with extra school supplies and stationery. Just give them what they need – just like in school. For those extra supplies, you can invest in a storage trolley to keep things organized. Pull out only when needed. No mess, no fuss! So, back to school doesn’t have to be scary anymore. Our well-organized, easy-to-create study spaces should do the trick! 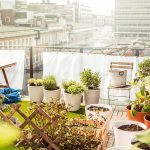 ⟵ Grow your own herbs and spices at home!